Do I Need to Set Up Security for my Website – Yes! Fifteen years ago, if you were to ask us the average web design company about website security, the common answer you’d hear would be unless you’re an eCommerce site or a site storing sensitive information, you might not need it. Things have sure changed. These days, any reputable website is going to have at least an SSL certification to their site. To not have some sort of website security installed communicates to visitors that you do not take security seriously and that subsequently leaves any customer information exposed. It’s important for visitors to trust the websites they are visiting. An SSL/TLS certificate signifies trust and reliability, and provides no doubt that a customer’s information is going to be protected. If you’re an eCommerce site or if you’re asking for a consumer’s financial information directly on your site, a non-secure site is not an option. A website security certification indicates that your website has data encryption in place and the appropriate authentication standards. Even for a site that is not selling direct to consumer, this is highly important. If you use Google Chrome, browse a few different of your favourite websites. Chrome indicates when a website is non-secure. Google highly values website security and across its many services, it prioritizes featuring websites with security included. If your website does not have an SSL certificate, it has a negative impact on how it’s perceived by Google which also impacts any SEO campaign you may have going on. Secure sites are trusted while non-secure sites are disadvantaged. In the last three years, Google has released new policies and updates that continually prioritizes website security. For sites that do not yet have a security certification applied, it’s going to become a very frustrating time. For example, since July 2018, Google Chrome has begun to highlight sites that are no secure. They display a warning to any user trying to access a non-secure site. Even if your website is completely innocent and does not have the intention of procuring the personal information of visitors, if you do not have a security certificate in place, your website will be marked as a risk. Evidently, that has a dramatic effect on how your website and brand is perceived by customers. Just imagine, if that’s their first impression of your website, it’s highly unlikely they’ll want to continue doing business with you. As we continue to move towards a future where Internet security is a high priority, websites that don’t have security certificates in place may end up hidden from search engines, social media, and other platforms that they would otherwise be featured on. For more information on how to set up website security for your site, speak with a representative at New Concept Design today. 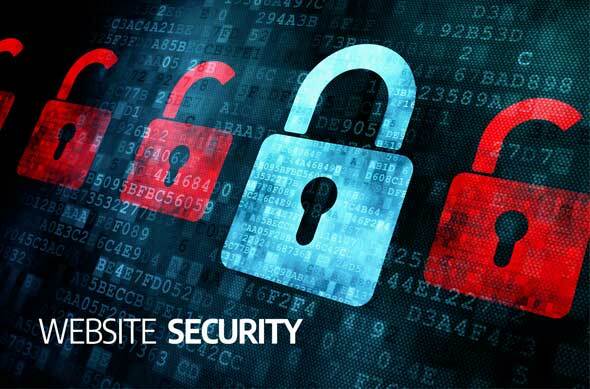 We can assist in minimizing costs while maximizing security with the right website security products, trusted security certificates, and hosting services!